We all know the story. An evil witch looks into the mirror and wants to know whose the most beautiful of them all. The mirror talks back (because you know mirrors do that!) and tells the witch that a princess is better looking. The witch gets mad and goes searching for the princess…..yada yada. That story is all all fine and dandy in fantasyland but what about reality? 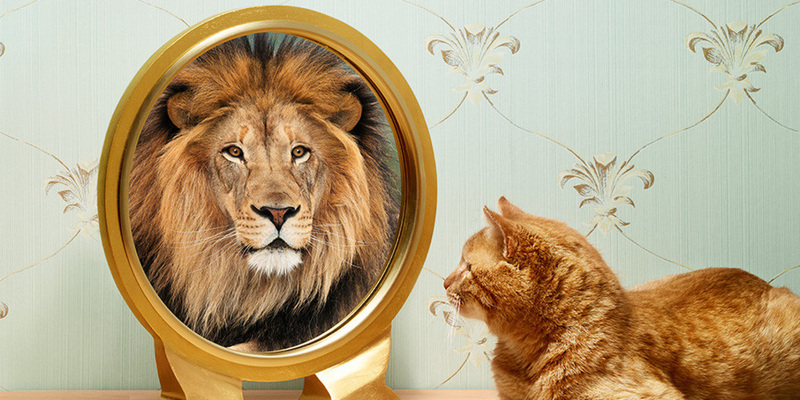 How often do we actually observe what the mirror is really telling us? Do we actually SEE what the mirror is displaying to us? In my journey to reread Release The Beast: Conquer Mental, Physical and Diet Challenges To Unleash The Champion Inside, I’ve come across Chapter 22: Mirror Stare Down. The book challenges the reader to use this instrumental piece of home furnishing for further self-development. With all the technology you have in your possession, how often do you actually think about how valuable your mirror is in your life? Think about all those countless mornings with you standing in front of a mirror. Staring at your mouth as you brush your teeth. Watching the foam create a toothpaste beard around your mouth. If you are a guy, remember that first shaving experience? Smothering your whole face with shaving cream for a full Santa Claus beard. Once the cream was on you drove your razor through it without a care in the world. After two strokes you noticed several red dots dripping as you glanced in the mirror. Once you washed the cream off, you placed tissue paper in the areas to soak up the blood like a true rookie. Ladies, how many hours have you spent doing your makeup in front of mirrors? How else would you see if you put just the right amount of foundation on your face before going out with the girls? Or looking at your body as you twirl around making sure the outfit you had on was fierce enough to get the attention of that special someone that night. The mirror has become an overlooked staple in modern homes. It’s impossible to envision a bathroom without a mirror. Heck, outside of a toilet I feel that a mirror properly defines a bathroom. It’s always just been there. I’m sure I’m not the only one that has felt that we take it for granted. This tool allows us to explore a world that would be lost to us without its invention. Every day we see the planet through our own eyes. The view from our eyes only allows us to naturally see certain parts of our body like the front part of our body along with our appendages. But that’s only about half of our body. What about our faces and backside? That’s where mirrors come in handy because we can’t always rely on another’s opinion. We want to see the truth for ourselves. Once presented with the truth, what do we do with it? Despite having this tool to show us our reality we still try to ignore it! As a child I remember glazing in the mirror and seeing a person more heroic and stronger than I was in reality. Due to my lack of self-confidence I didn’t want to see what was really there. It wasn’t that I didn’t see my reflection but it was the fact that my mind wouldn’t allow my eyes to truly accurately see the reality! For so many of us that have been trapped within our own struggles, we refuse to see the reality in the world. We can see an image but we just can’t put together what’s truly there! When I was the heaviest in my life, I remember looking into the mirror every day and not seeing my obesity. I saw exactly what I wanted to see. Not the reality of what the mirror was trying to expose. Does that sound familiar? Well, it’s time to wake up! When you get the chance today, I want you to really look in the mirror today. Look at that reflection looking back at you. That is you! That is the image the world is seeing of you. What do you currently see? Does that image represent strength? Does that image represent courage? Is that person physically in shape? Is that image scared to make eye contact? Does your eyes look them in their eyes or goes straight to their body? Make note of all those feelings and reactions you experienced when looking at that image. Now just close your eyes and take a deep breath. This time when you open your eyes I want you to Release The Beast!! Stop all that negative thinking! Know that you have a chance to change this image of you RIGHT NOW! For the next week just take a minute each day to really look at yourself in that mirror. Look into that reflection’s soul and let them know that you got their back in life! Use this to build confidence to live a better life! At the end of the day, that person in the mirror is the one that’s going to help you succeed in life! It’s time to show your appreciation with positive acknowledgment and love that person in the mirror.